Okay now we’re going to confuse the heck out of you! So we’re still in the process of blogging about our trip in Europe during the summer of 2018 and then our adventures in the Fall of 2018. That blogging requires the coordination of three people which takes some time. So while we still wait for input from everyone, we’re going to jump closer to real time. And here we go! Fast forward to January 2019. Amanda writes: After some relaxation the last few months we set out to finish the Americas. Remember that when we first began our journey we drew a relatively straight line from Northern Canada to the tip of South America. We figured it would take about 2 years to get there. Well in reality that line has not been straight and we’ve jumped around a lot. The goal the entire time is to have fun. If we haven’t been having fun, we change it. But now I’m determined to finish what we started and Andrew was up for the challenge. So we left the place we were staying recently in suburban London and headed over to Gatwick airport. 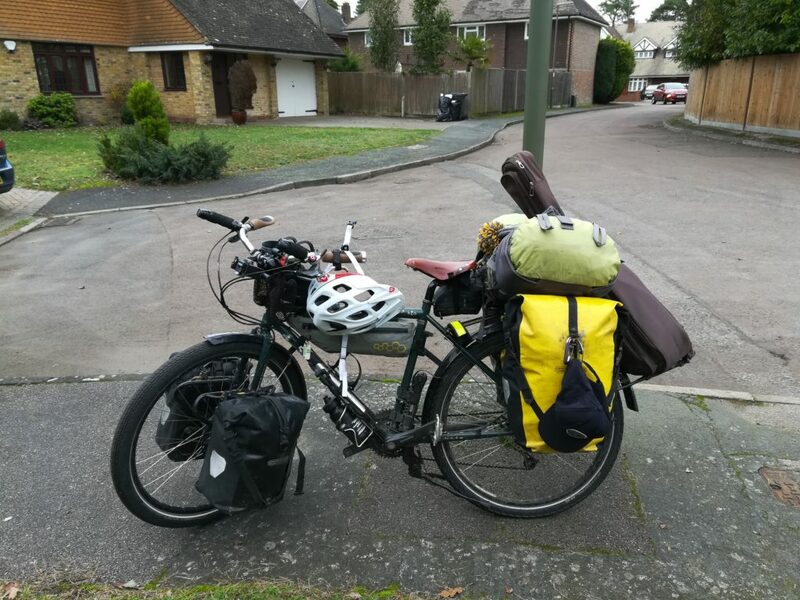 Amanda’s bike loaded up outside the house we were staying in Suburban London. We were super early which is so unlike Andrew to agree to that but he was being a good sport. 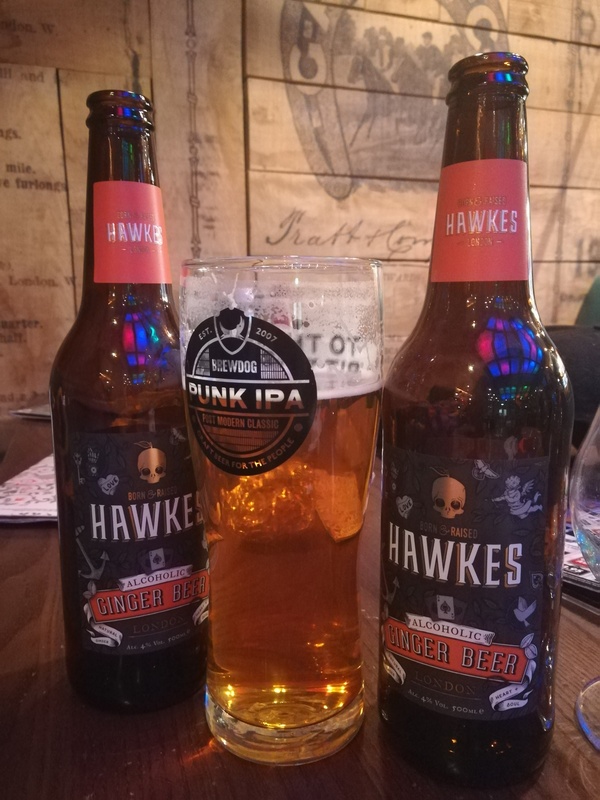 We checked in our bikes and luggage without any problems and went through security nice and early and settled into a nice pub for some relaxation and a few beers. We boarded our red eye plane which was rather empty and really comfortable. I’d fly again with Norwegian Air again for sure. It’s one of the longest flights we’ve taken in part because we often have connections and this one was a direct flight. Direct to Buenos Aires! 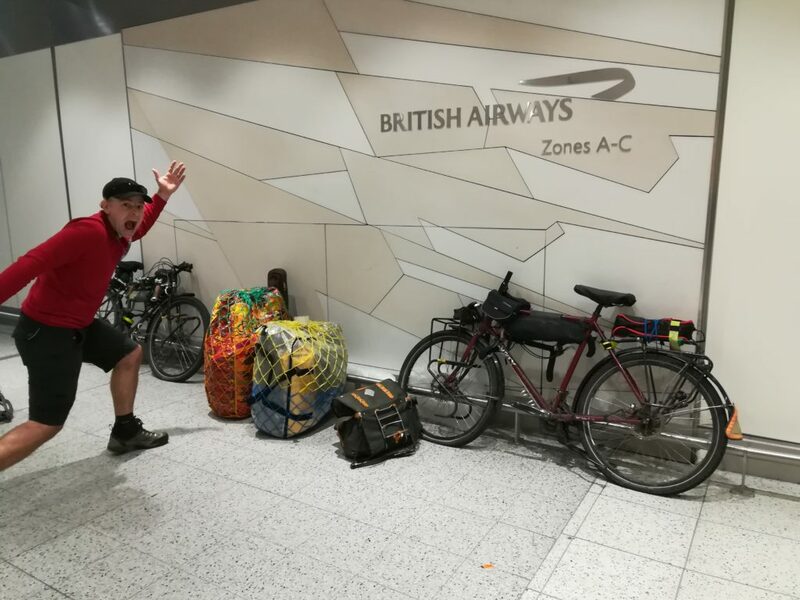 Andrew enjoying packing up the bikes for the plane at Gatwick Airport. We enjoyed a few beers at the airport before boarding our long flight. We arrived early and got a taxi for us and our bikes and bags. We had planned to not assemble the bikes because we only had 3 days in Buenos Aires before we flew to Mendoza to pick up where we left off last year. Our Air BnB was close to the airport so it made sense. Andrew commandeered a taxi who was sure we’d fit and off we went. 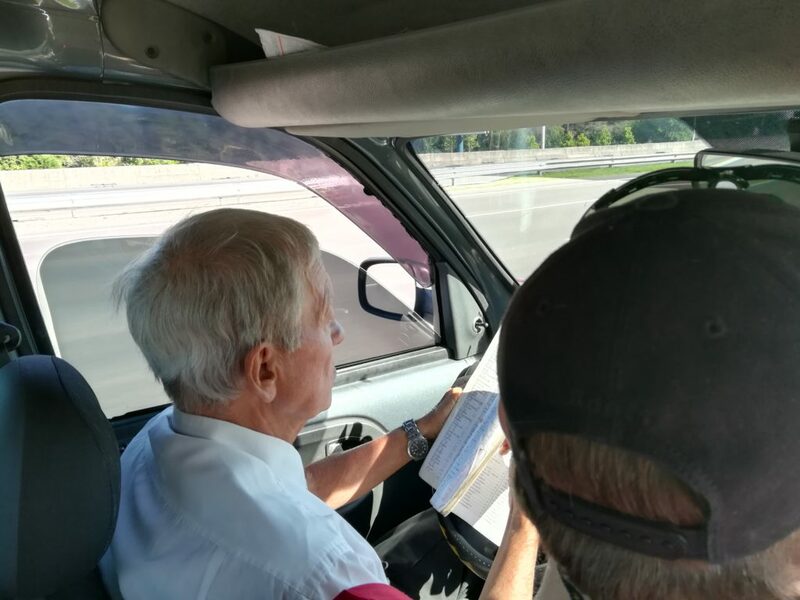 The guy wasn’t young, maybe 70-80 years old and needed his reading glasses to read the map book he was trying to read while driving on the highway. That’s right; not GPS, a paper map book. And this of course is with me sitting on Andrew’s lap in the front seat without seat belts. So he asks for the address and then says he doesn’t know where it is. Instead of pulling off and figuring it out, he pulls the map out. He’s trying to read the map and we’re swerving into the shoulder and then back to the left utilizing all 3 lanes on the highway. All the other cars don’t honk, they just move around him including the cop car. Oh ya, that’s right we’re back in South America. Safety and rules are a suggestion, not the law. After some convincing by Andrew we confiscate his book and Andrew figures it out on his phone. After some wrong turns and reroutes we arrive at our destination safely. I wanted to kiss the ground. Our taxi driver with the mapbook on the steering wheel on a four lane highway!!! This was my view from Andrew’s lap. 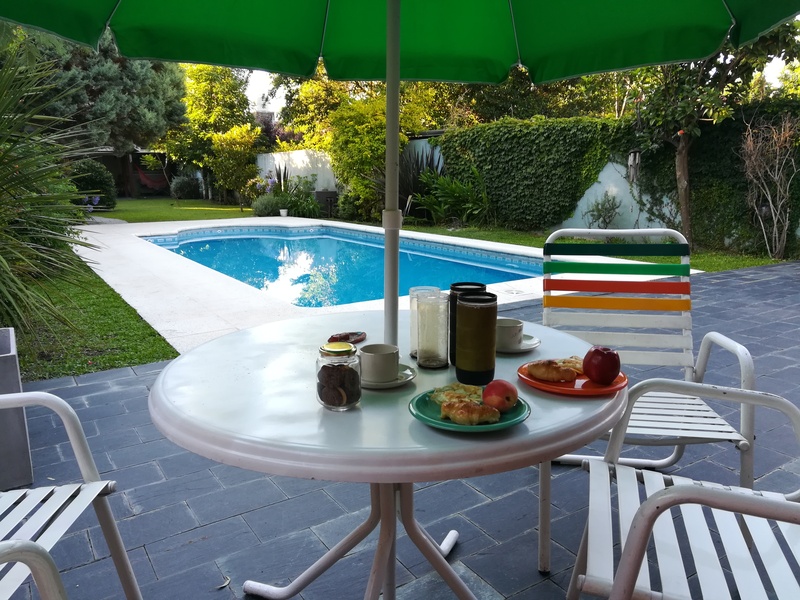 After settling into our awesome fully equipped little house with a private pool we relaxed a bit and got organized. We headed to little cafe for some empanadas and acclimatized to the awesome 30 degree weather. The next day we took the train into Buenos Aires proper which was super easy and took less than an hour. We signed up for a walking tour and were excited to see the famous city. The tour group was incredibly large. We do a lot of walking tours in the world and this was by far the craziest we’ve seen. When we were in Budapest they split the groups into 20 and there was one guide per group. This poor tour guide had over 100 of us! He was doing the best he could and while we were enjoying it, it was just too big. We stuck around for over half of it and then peeled off once we hit the ocean. We explored the city a bit on our own, got some much needed cash and then were making our way back to the train station. 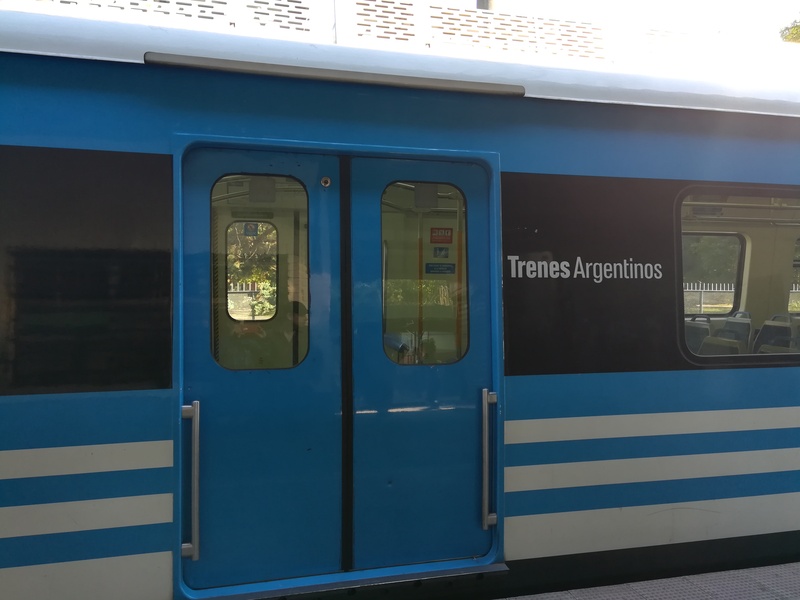 The local train system for Buenos Aires is super effective and inexpensive. 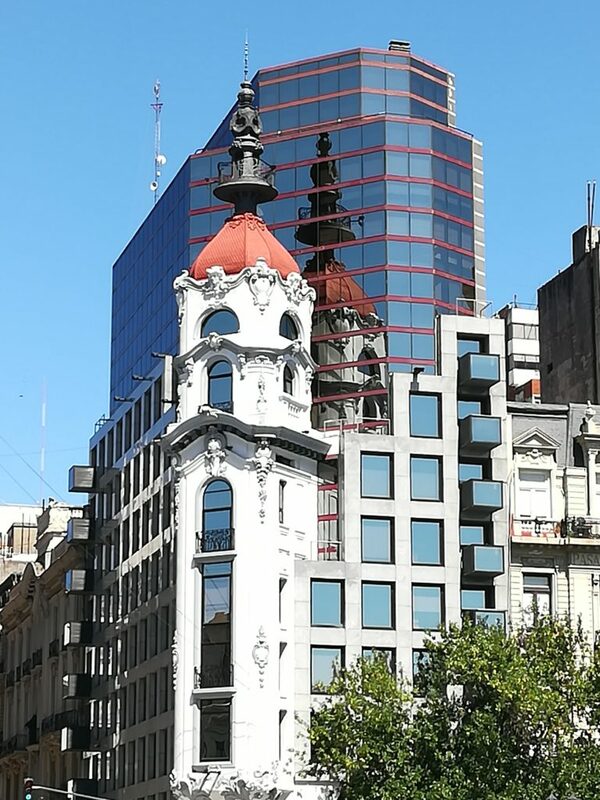 Some very interesting buildings in Buenos Aires. The old and the new. On our way to the train station we watched a woman get mugged literally right beside us! We were walking down a pedestrian only street and a woman to our left suddenly screamed. When we looked at her she was grabbing at her neck like she was startled. At first I thought her boyfriend had played a trick on her or something to scare her. But then a man dressed all in black started sprinting away from her. He ran across 4 lanes of traffic and jumped on the back of a waiting motorcycle as a passenger and they peeled off. It turns out the guy grabbed her necklace and ripped it off her neck. The whole thing happened so fast we just didn’t really know what was happening. Andrew and I were a bit stunned that nobody did anything, not even us. We’ve been told since then it’s good we didn’t because it’s just not worth it. We were very lucky that he didn’t hit us up because he would have hit the jackpot because we had just withdrawn cash! Anyways a bit too much excitement for us. We then found a little watering hole to cool off and have a bite to eat. We made it back to the train station without further incident and then picked up some groceries before heading back to our AirBnB. We arrived and immediately jumped in the pool to cool off and relax. The next day was reserved for planning some of the finer details like how to get to the airport to take our next flight back to the part of South America that we left off from last year. And that planning was going to be interesting because we booked it out of the wrong airport; oops! 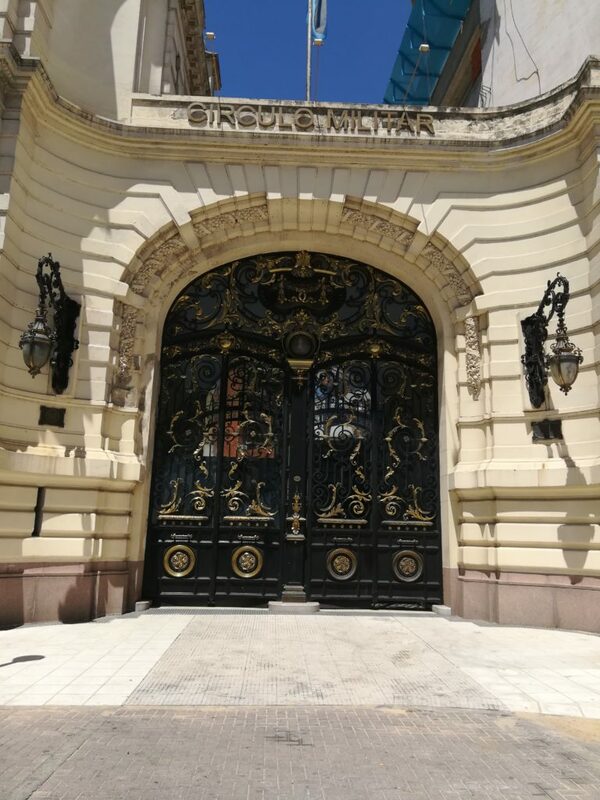 Andrew writes:Landing in Buenos Aires with the sun, and the 30C temperatures makes me wonder why exactly I just spent 4 months in the yUK; cloudy and miserable. Most Latin American cities that I’ve visited all seem to have a certain flavour to them. Maybe because it was the weekend I’d have to gauge BAs flavour as being dead. We tried to do a free walking tour, but there were over 100 people who showed up and only 1 guide. Wherever we did walk around the city it just seemed rather lifeless, and the buildings and architecture all seem very haphazard and not really very pretty. I didn’t like London’s classical architecture but at least the grey facade and drabness was uniform. London’s modern architecture was out of this world, but Buenos Aires is just rather plain. The AirBnB where we are is about 45minutes out of the centre of town on the public train. It was a nice trip in and out, and I’m glad I only had to do it once. Everywhere we go here people are warning us to be careful, like I was warned not to hold my phone in my hand when we pulled into train stations to prevent someone from grabbing it and running off just as the doors closed. There was the woman who was mugged. Our AirBnB hosts warned us not to go out walking at night. The economy here appears to have taken a turn for the worst and tourists are easy targets I guess. I just don’t like the vibe, and I really don’t like being told to be careful all of the time. I’m keen to start riding in a few days though. I always look forward to continuing our journey. Thanks for continuing to follow us! Oh my be careful loves! The taxi driver had me in stitches laughing….OMG your lucky you made it to your AirBB! Yes the whole world seems unsafe anymore,even here in Kelowna there are certain areas older people are scared to walk down the streets! And if your younger your accosted for money,it is getting really bad all over but we can’t live in fear just be cautious as you have already been in a few dicey situations and came out fine…loved all the pics you posted! Bon voyage!